RAINDROPS FOR FARMERS CAMPAIGN: IGA’s Colleen Ross. SOME much needed rain has fallen along the Myall Coast, but unfortunately not where it’s needed most, out west. New South Wales has just recorded its eighth driest winter on record with rainfall 54 percent below average, according to the Bureau of Meteorology. Doing its best to help our drought stricken farmers is the IGA Lovey’s Grocers in Hawks Nest. They just started the ‘Raindrops for Aussie Farmers’ campaign. 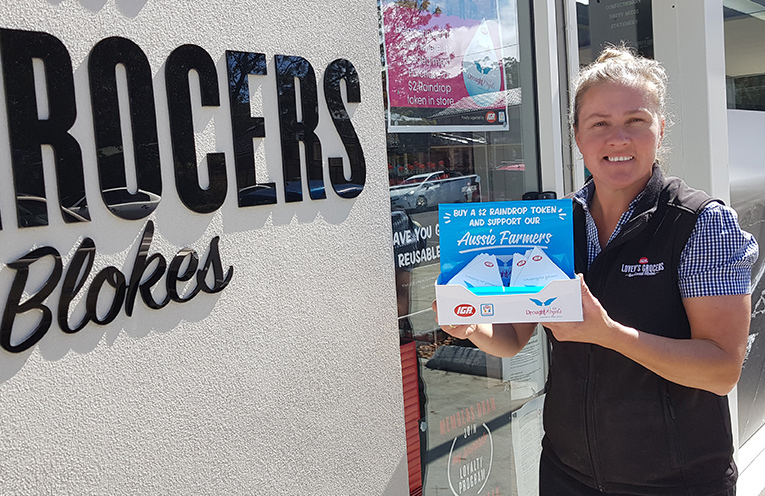 “Lovey’s Grocers IGA have partnered with Drought Angels to help fundraise for farmers and provide relief where it is needed most,” Karen Marples said. 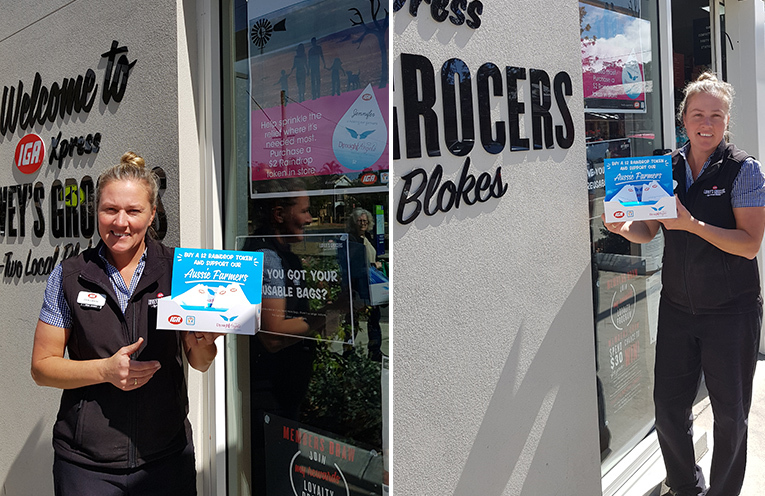 “We all want to help our Aussie farmers through this drought and by purchasing a $2 raindrop token, our customers can make a difference’, James Lovegrove, Co-Owner Lovey’s Grocers, said. 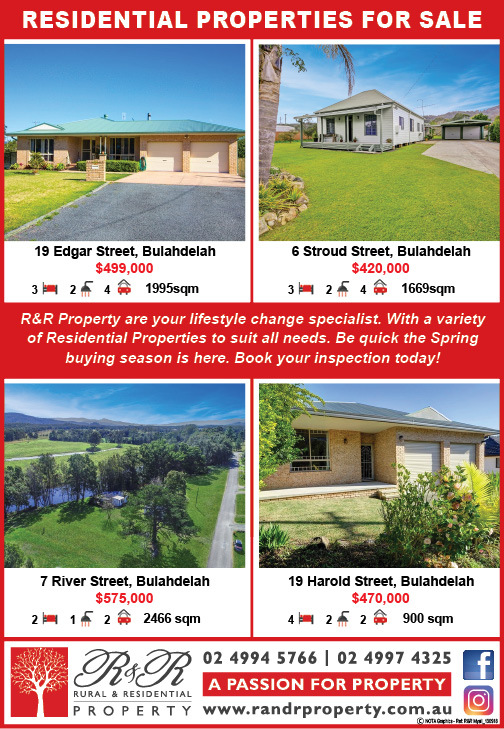 Drought Angels support Aussie farmers and their rural communities with meaningful and personalised assistance. They provide help including food hampers, care packs, prepaid visas local store vouchers, stock feed and hay. They also organise ‘Rural Day Off’ events to provide farming families with much needed reprieve from such tough circumstances. “When you buy a token, write your name and put it on our raindrop wall, we’ll send a photo to Drought Angels to share with the farmers and show how much the Hawks Nest community supports them,”Mr Lovegrove said.